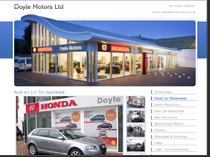 DealerWorks is a trading name of 2Dmedia Limited. 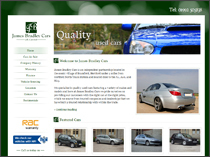 It was created as a specialist package for vehicle dealers, this package is a special offer for these types of business. DealerWorks websites can't be hosted or transferred elsewhere due to the website management software requirements and software licensing - the back-end system and front-end display software was created specifically to run on our servers and to be provided as a service. 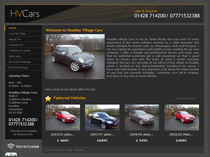 As such, DealerWorks powered websites and respective control panel software is only available to active subscribers. Should you wish to move your website away, you may (at your own cost) 'export' or 'save' the static HTML accessible through a web browser of your website along with the static images and upload this to suitable third party hosting. While you will loose the dynamic functionality, you can re-use the site in it's form at the time the static copy was made. We do not provide this service, but highlight it as a means to migrate your site should you wish to. Unlimited pages, vehicle listings and photos subject to fair usage and hosting bandwidth limitations - maximum web storage space 100MB and maximum 1GB monthly bandwidth. By default, for optimal loading time vehicles have 10 picture upload fields however this can be extended free of charge upon request. Where feeds are made available, DealerWorks accept no responsibility for the use of, or processing of such feeds by third parties. All DealerWorks packages are non-refundable, all sales are final. Maximum project duration (start to finish) - 12 months. In addition to the above, all orders are subject to the 2Dmedia Limited standard terms and conditions available on the 2Dmedia Limited legal page.